First off, read this brilliant analysis of 80s Action Movies by Max Gladstone. It is fantastic, especially if there’s any amount of literature geek in you at all. While I might quibble a little bit about Gladstone’s division of heroes into those who are gifted knowledge by destiny and those who earn metis by grit and cunning (I feel they are the same story operating by the same plot points, the same Campbell-ian elements, the same departure into and escape from the ‘special world’, etc..), the identification of classist divisions in different heroic stories is well done. Our heroes often exist on a series of hierarchical planes, and the stakes over which they struggle likewise change depending on this classification. Neo becomes the One whereas John McClane just gets to save his wife; Riddick rules the necromongers while Ripley escapes with Newt in dreamless sleep. The division there is real; both are heroic journeys, but the ‘elixir’ they return with (to use Campbell’s description) are of a fundamentally different nature. The two worlds they are destined to master are different. Bromance before it was a thing. That brings me to the topic of this post: the vaunted mythological provenance of the ‘Cops and Robbers’ drama. 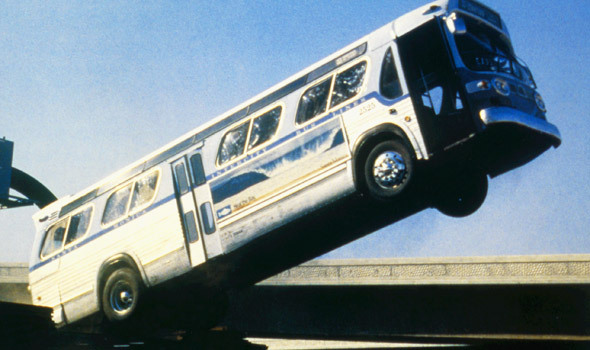 There are scores and scores of these stories – I scarcely need name them – but here we go: Lethal Weapon (all four), Beverly Hills Cop (both), Die Hard (and sequels), 48 Hours, Another 48 Hours, all the Dirty Harry flicks, Speed, the Rush Hour franchise, and so on and so forth ad infinitum. From The French Connection to Hot Fuzz to The Heat, people turn out to watch the boys in blue chase down the bad guys and bring them to justice. We eat it up, frankly – car chases, pithy dialogue, gunplay, and so on. It’s more than just that, though – all of those things I just mentioned can be found in a Bond movie, for instance, and that is a very different animal. No, cop movies and the Cop Hero is all about class (or the lack thereof). The police officer is the everyman hero by definition. Even the crazy elite ones (Martin Riggs, for instance) exist within the realm of achievable ability. You – yes you – can become a cop. A cop’s job is to protect the innocent against the wicked and unjust. They are, by definition, heroic. Even though we understand intellectually that not all cops get to do such things and that the realities of police work are very, very far from glamorous, there is still a connection there you do not feel when watching James Bond or Harry Potter. These are not the elite masters of the Earth nor are they the mystical chosen one ordained by Providence to earn victory. They’re regular guys. They’re just like us. The Cop Hero does not feel it necessary to defer to those of higher rank. They possess the truth through the hardness and breadth of their experiences, and those above them have lost touch with such things. Whether they begin brazenly defying authority or they learn to do so over the course of their journey, in either case the result is the same: they have a higher calling than just following orders. For them, the fight to protect the streets is a passion more than simply a vocation – it is who they are. This is important to us as viewers in that it mirrors our own wishes to escape the bureaucracies that compromise our passions and deeply-held beliefs. We wish for the courage to call inept managers or superiors out on their nonsense. We hope to be bigger people than our mere job title permits. In the Cop Hero, we see potential in ourselves. The Cop Hero might not be alone, but they are certainly distressed in their personal endeavors. Many are drunks, some are suicidal, almost all have poor relationships with women. Some rare few are harried by their wife or significant other or, perhaps, overcome with the responsibilities of familial life. If they have a daughter, she gets kidnapped; if they are married, their wife is threatened. Their home is literally and figuratively a battleground, whether it is due to the complete lack of domestic hygiene or because they do not and cannot control the behaviors of their family. This is, yet again, a call to the everyday and the commonplace. The battleground of the modern working adult is the work/life balance between career and home. It is an unwinnable struggle, however. As the modern man/father/woman/mother seeks to be their best selves in both places, sacrifices are inevitable in both arenas; this is a phenomenon mirrored by the cop drama, only with it magnified to extremes. The birth of the Cop Hero as we understand it arrives in synchrony with the fast-paced modern world of the mid-20th century in America, and this is no accident. Their struggle is the metaphoric extrapolation of our own. Let’s face it: this sounds like a really bad idea. While this is a trait broadly applied to almost every hero, part of the Cop Hero’s identity is caught up with the choice he has in his work. The Cop Hero always has (or appears to have) a way out. He can give up, go home, and let the ‘authorities’ handle it. He has a job, a pension, a desk, and so on – he does not need to do what he does. His suffering comes as a result of his own decisions, not because fate has foisted them upon him. John McClane can surrender with the other hostages and let the Feds outside do their duty; Axel Foley can stay in Detroit, put his nose to his work, and write off the death of his friend as the result of a lifetime of bad choices. Unlike other heroes, their ability to Refuse the Call is unequaled. Something, however, keeps them going even though, by all outward appearances, their decision is self-destructive and pointless. Accordingly, fate rewards their stubbornness: McClane realizes later that all the hostages would have been blown up without his interference; Axel Foley is rewarded for his ingenuity and dedication with new friends and the vindication of his suspicions. The appeal of this behavior is fundamentally tied to the underlying myth of our culture: the American Dream. The pursuit of the illogical and audacious in the face of overwhelming negative reception and contrary evidence is sacrosanct to our country’s self-image, and the cop hero – everyman that he is – embodies this idea in his quest. So it is, then, that we have heroes with badges standing up to corruption and evil in our modern world. That they fight criminals is almost incidental; the criminals, like the heroes that combat them, are largely metaphorical anyway. The Cop Hero is the embodiment of the modern American struggle itself and, therefore, it will always be with us and relevant. That we have moved away from it in some sense (as described by Gladstone) should come as something of a warning. 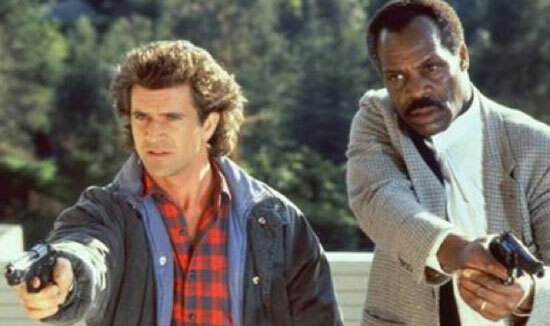 If we cannot produce more of Riggs and Murtaugh or Axel Foley or John McClane, one wonders whether we have either resolved the problems that plagued us as a society in the past or whether we are simply forgetting who we are. Posted on March 10, 2014, in Critiques, Theories, and Random Thoughts and tagged action movies, Beverly Hills Cop, cops, Die Hard, heroes, Lethal Weapon, Max Gladstone, The Hero's Journey. Bookmark the permalink. Leave a comment.